Cystalline waters, mountains just begging to be climbed, a variety of outdoor sports, and--above all--gorgeous scenery. 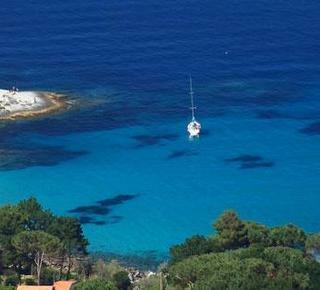 Elba Island is the perfect choice no matter what you are looking for on your holiday! For those who love steep cliffs, Capo Sant'Andrea is a must-see. One of the most beautiful seaside cliffs in the world, shaped by millenia of wind and water, with its stark white granite face standing guard over the bright blue waves below. 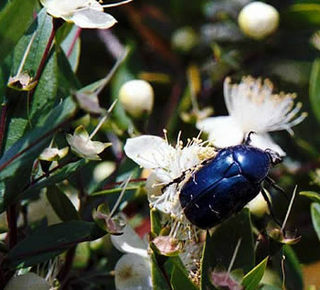 Get to know the island's biosphere through its fauna, including its wide variety of birdlife. Spend a morning or afternoon birdwatching, and learn even more about this unspoilt natural oasis. 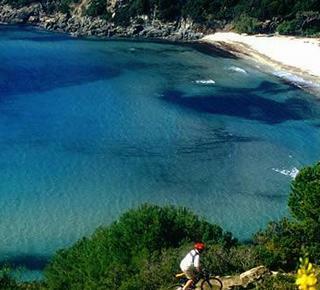 At a leisurely pace, or with a sense of adventure: everyone has a different style and can be satisfied with the biking on Elba, both on trail and off through shaded woods directly above the sea. Discover the most pristine hidden coves, dive into the crystal clear sea, take a quick trip to the island of Capraia: all this on your own private boat. Enjoy a day on the sea, circling the island of Elba with stops at Enfola and the Forno. From the hotel, climb Mount Capanne, thickly wooded with chestnut groves. 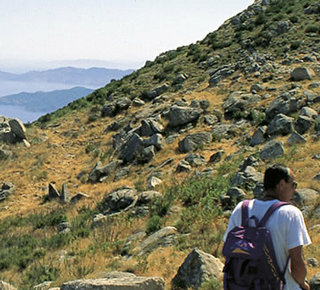 For a guided hike, there are organized excursions through the Tuscan Archipelago National Park and, for those who love exploring the countryside on horseback. 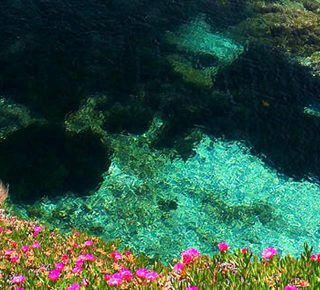 Beneath the waves, the sea surrounding Elba has treasures just waiting to be discovered: colorful fish and marine life and sunken ships which have been resting on the sea floor for centuries. 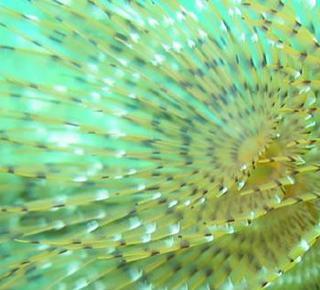 The diving center is just 150 m from the hotel. 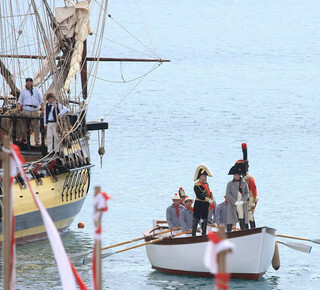 Two centuries ago, Napoleon arrived on Elba in exile and even after all this time the islanders still commemorate the Emporer, keeping his memory alive through a number of monuments and palaces tied to this important historical figure. Tuscany and Elba means fabulous wines. 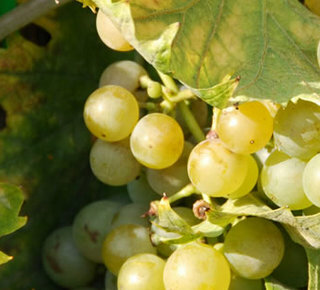 Due to its fertile terroir and historic vineyards, Elba produces some of the region's most unique vintages. Sample these during an organized tour of local wineries along. Glinding across the water with the sun at your back: discovering Elba in kayak is a unique and relaxing way to explore this island's shores. 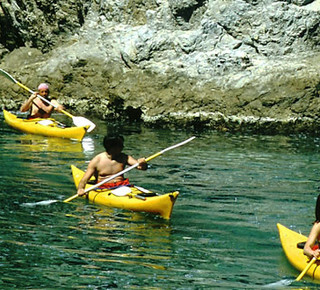 Rental kayaks are available on the Sant'Andrea beach, and from here your adventure begins! You may be on vacation, but you still need a little exercise! 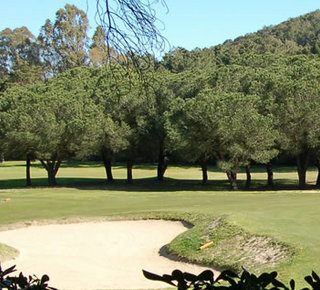 There are two well-kept tennis courts about 150 meters from the hotel, and two 9-hole golf courses about half an hour drive away, both with beautiful views.